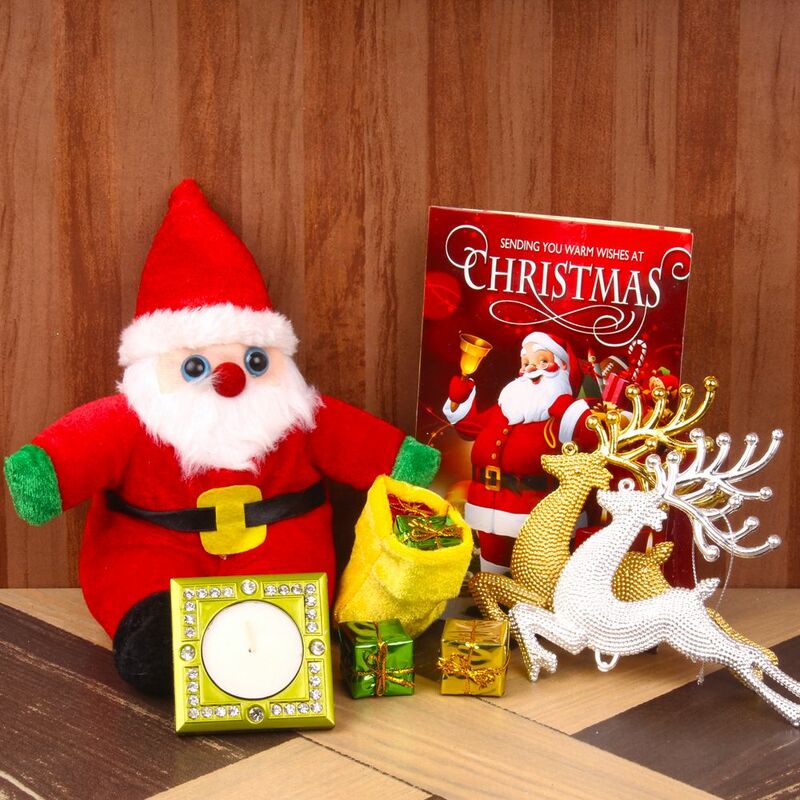 Product Consist : Santa Claus Soft Toy (Size : 6 inches) along with Gift Bag containing tiny gift boxes and Pair of Reindeer with Special Candle and Christmas Greeting Card. 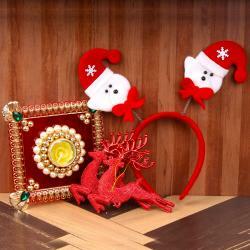 If you are wish to send something unique gift to your friends on occasion of Christmas. Then you can surprise your friends and family members especially kids by gifting this Christmas gift hamper. 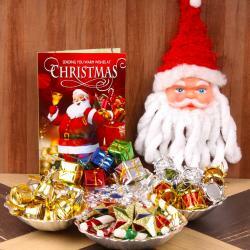 This hamper comprised with a very cute Santa Claus Soft Toy comes with gift bag including tiny gift boxes. 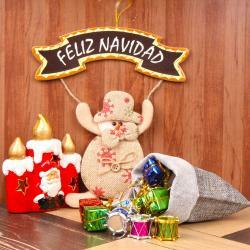 The Santa Claus comes with his two special reindeers along with one candle and Special Christmas message greeting card. Product Consists: Santa Claus Soft Toy (Size: 6 inches) along with Gift Bag containing tiny gift boxes and Pair of Reindeer with Special Candle and Christmas Greeting Card.